At Beacon Cove Dental Group, they provide total dental health care. 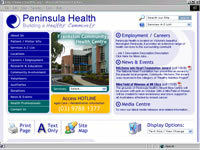 A Content Management System and Visual Upgrade are the most recent changes to the Peninsula Health website. 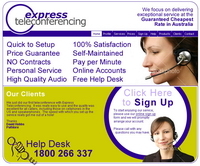 The site includes an fast internal search, latest news, service descriptions and corporate information. Maintained internally by their marketing department after training with Premonition. Working with Honda and marketing company Foote Cone Belding, Premonition supplied e-marketing solutions to coincide with Honda's television commercials in Feb 2006. 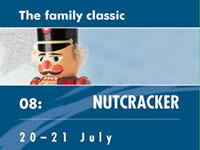 The banner ads were shown on NineMSN and SoccerNET with higher than average click through rates. This government funded service selected Premonition to implement a CMS and extranet to enable online collaboration between its members. It adheres to the latest standards and CSS coding. Premonition enjoyed working with the creative minds of Zealot for their new website which acts as their main folio demonstration mechanism. 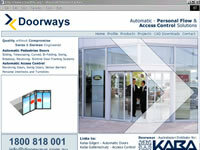 Doorways specialise in Automatic Doors and Access Control solutions. 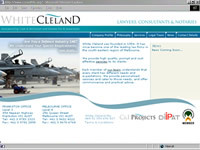 Their website is a gateway to partners and a secured, online CAD Drawing database. 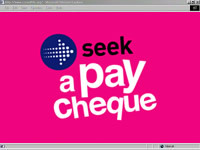 Premonition worked with marketing company Ignition to supply a 6 week online competition for SEEK. This game of chance was powered and secured by a database that collected over 1000 entries a day from SEEK users. Foote Cone Belding's client, White Pages required a series of animations to launch the new White Pages website. These were presented on plasma screens and through online campaigns. With Ignition & Warner Brothers, we produced a ticket giveaway competition in conjunction with street based print materials. 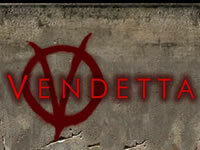 The website received thousands of visitors, giving away 100 movie tickets. 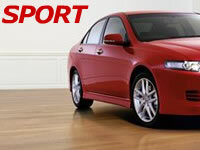 The Honda Civic Hybrid project required and Email Campaign graphic and several banner adverts variations to supply marketing company Foote Cone Belding. These appears on Fairfax, NineMSN and CarPoint. 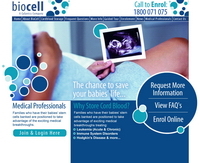 A unique business in Australia, enabling parents to store their new born's stem cell for use later in their lives. White Cleland was founded in 1954. 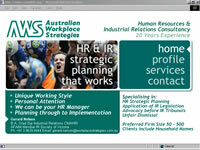 It has since become one of the leading law firms in the south-eastern region of Melbourne. Their site allows the audience to study the areas of law the firm specialises in and the staff who are responsible for each of those areas. An interesting client with an educational website that allows their customers to easily compare them to other competition. Supporting current and prospective nursing employees of Victoria's largest hospital network. 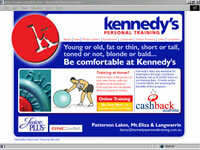 Kennedy's is the Mornighton Peninsula's most energising personal training studio. Their site allows clients to train online, read the latest books, locate their closest studio and order equipment. Our client enjoys a top ranking in Google worldwide along with a full range of customer focused online tools. 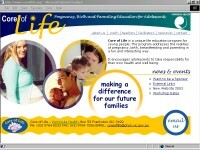 Core of Life is a unique life education program for young people. The program addresses the realities of pregnancy, birth, breastfeeding and parenting in a fun and interesting way. The site is an effective tool for facilitators and students and includes photo galleries, resource kits, order forms and upcoming dates / venues. 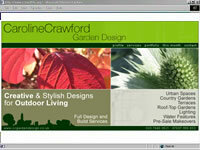 Caroline Crawford, a well respected landscape / garden designer, required a fresh looking site for her new business. Monthly updates, conducted by Premonition, give informative guides to the audience regarding the current season's top tips. Healthcare Management Advisors (HMA) is a boutique management consulting firm, focused on providing high quality consulting advice to the Australian health industry. 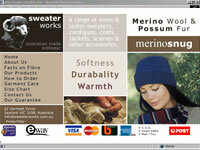 This is their first site, a simple online marketing presence with detailed information for clients to research. Unique and Contemporary interiors. 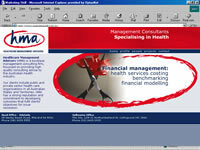 This site acts as a online folio of current stock maintained by the client. International tourism sales run this business and the website enables secured and confident sales.